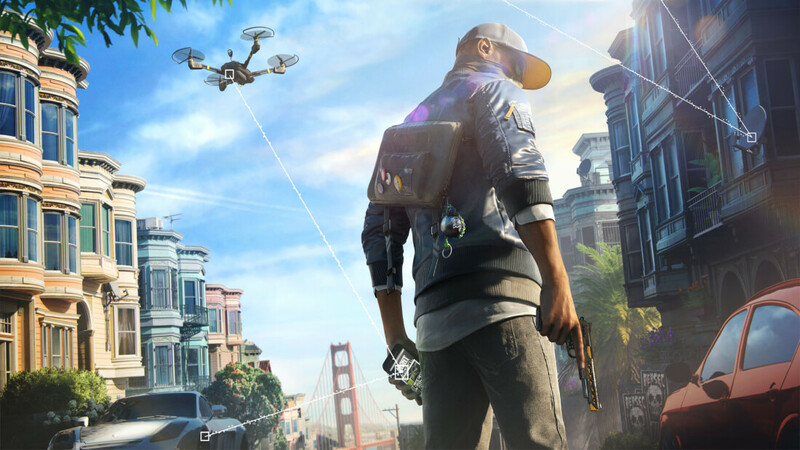 Ubisoft has just announced the content you'll get with the Watch Dogs 2 season pass, and it's a pretty uninspiring selection. Considering the season pass costs a full $39.99 when the standalone game costs just $59.99, there doesn't appear to be much value for gamers. The season pass includes five content packs that will be released between launch day and spring 2017. The first content pack available day one, called the Psychedelic Pack, just includes some additional vehicles, outfits and weapons. The T-Bone Content Bundle, available in December, is a similar situation: a handful of new items and a new co-op difficulty level. "This winter" you can enjoy the Root Access Bundle, which features a mission inspired by the Zodiac Killer and more items. Two further DLC packs will be available in spring 2017: Human Conditions, which features "several hours of content spread across three new world stories"; and No Compromise, which sees the protagonist take on the Russian Mafia in a new world story. Both packs include a small amount of additional co-op content. Three sets of new items, including vehicles, weapons, outfits and skins. Four new "world stories" that total at least "several hours" of gameplay. An additional mission related to the Zodiac Killer. That doesn't sound like great value, so it's probably worth waiting until the content packs are actually released and reviewed before you spend $40 on this season pass. The standalone game, though, sounds enticing and it will be released on November 15 for PlayStation 4 and Xbox One, and November 29 for PC.